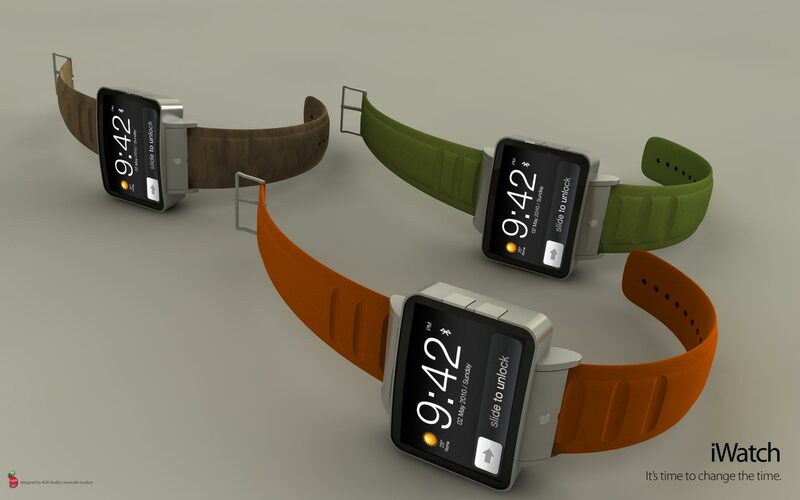 The iWatch is as beautiful a design as you could wish for. 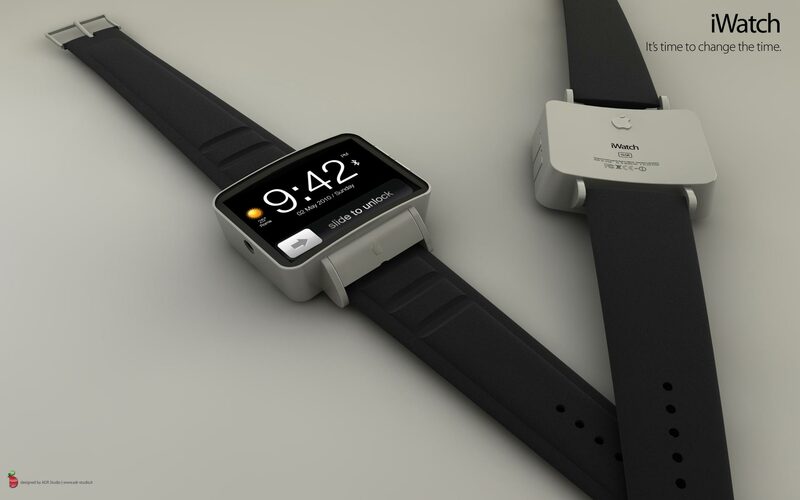 This watch is a fusion of traditional timepiece craftsmanship, with the futuristic simplicity apple brings to all their creations. 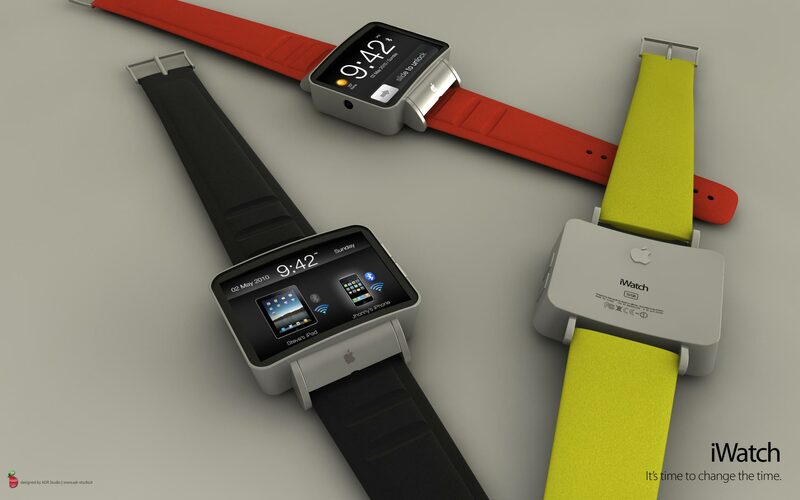 ADR Studio has tried to imagine a new Apple style product. It has an aluminum casing, with 16GB of internal storage and connects to iPhones or iPads by Wi-Fi or Bluetooth. 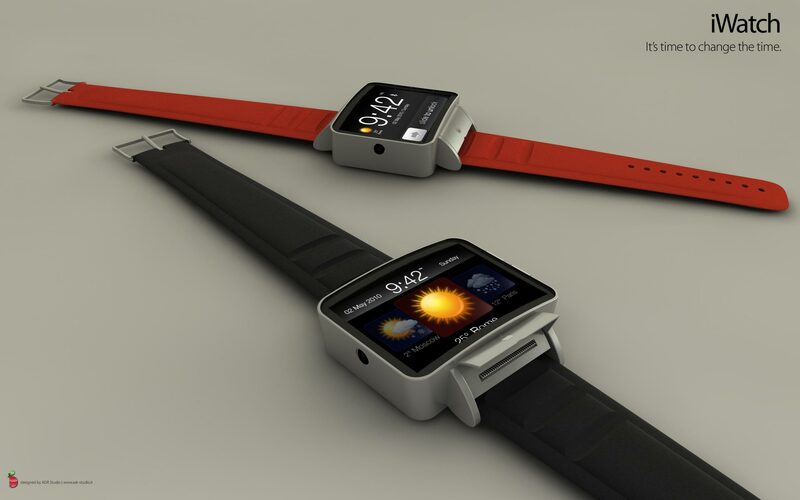 It could answer calls that come through on the iPhone in your pocket, or display RSS feeds, weather or photos. 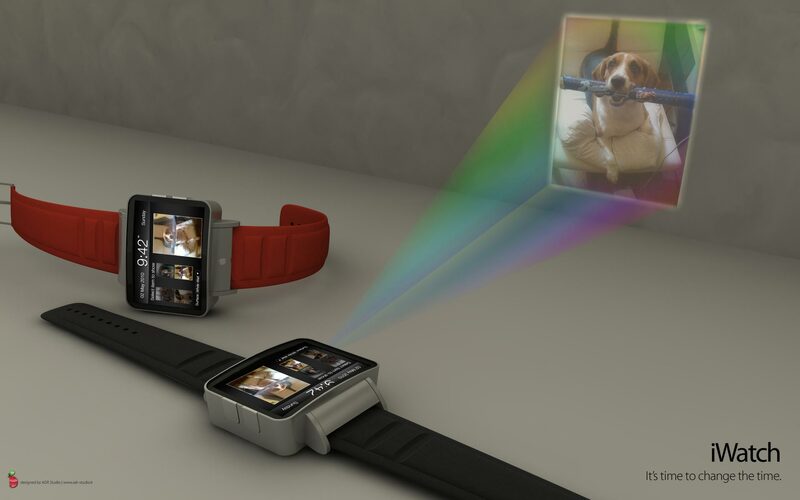 There’s also a built-in pico projector for letting you show videos on a nearby wall. 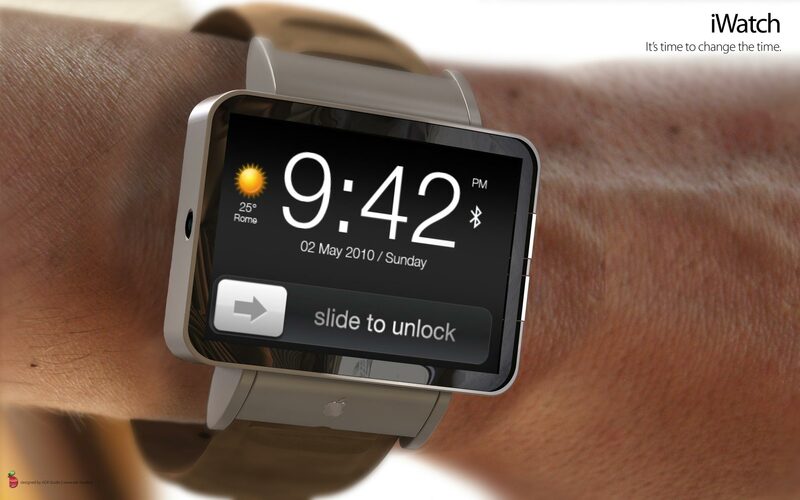 All in all, Apple iWatch is a pretty cool concept, but don’t look for it to become a real product anytime soon.